There are several different types of tenancy, and the type that you will have depends on your situation. If you are going to be living in the property, even if the areas that you are letting out are self contained, you are counted as being a resident landlord. This gives you a choice of two different types of tenancy. If you share any facilities with your tenant, like the bathroom or kitchen areas, you can legally get possession of the property when you want your tenant to move out without having to get a court order. If tenants are given a fixed term tenancy agreement under these circumstances, they become ‘contractual licensees’ and this gives them more security during the period of the fixed term. If you don’t share any facilities with the tenant, you will have to follow the correct legal procedures when it comes to giving your tenants notice and you’ll need a court order to evict them. This is the most common type of residential tenancy. All new tenancy agreements that were entered into after 28 February 1997 are assured shorthold unless it has otherwise been agreed in writing. Under an assured shorthold tenancy, a fixed term is given for the tenancy to start with. It’s usually six months, but can be less if you both agree. You could also let the property on a periodic tenancy to run indefinitely from one rent period to the next. Under this type of agreement, a tenant has the right to stay in the property for at least six months unless they give you grounds to evict them. At the end of the fixed term you have a guaranteed right to possession - as long as the tenant has been given two months’ notice. If tenants refuse to vacate the property, you can only evict them with a court order. Assured shorthold tenants also have a legal right to refer their rent to the rent assessment committee within the first six months of their tenancy. Once the decision has been made, it can’t be appealed. Since 28 February 1997, you can only create an assured tenancy if it has been agreed in writing. These tenancies give a tenant more security that an assured shorthold tenancy and can either be granted for a fixed term or on an indefinite basis from one rent period to the next (when they would be known as contractual periodic tenancies). There is no automatic way for a landlord to get possession of a property under an assured tenancy. Tenants may also apply to the rent assessment committee if they disagree with a rent increase. If you have a tenant who has been living in your property since before 15 January 1989 they are likely to be protected by the Rent Acts. These tenants will have a great deal of security and their rent may even be set by a rent officer. 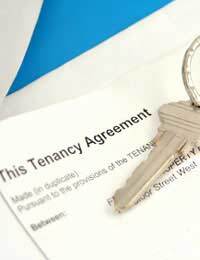 It’s not possible to create a protected tenancy any more, but some still exist.